The dynamic growth of the Sales & Marketing Unit of Apex Pharmacy Marketing Sdn. Bhd. (APM) is a result of the team’s skill in strategizing and planning. This ensures that our clients are able to advance swiftly to their next business milestone. The unit comprises the Pharma, Consumer Healthcare and Diagnostics Divisions. APM’s flagship Pharma Division works closely together with partners from across the healthcare industry including clinics, pharmacies, and hospitals. Established in January 2010, our Pharma Division was originally part of the Wholesale Unit. After restructuring, it is now an independent division with a renewed focus on selling and marketing pharmaceutical products. With a strong team of 50 dedicated sales professionals, effective and quality coverage is assured. Making sure the latest in pharmaceuticals are readily available to those who need them, when it matters the most. The division’s portfolio consists of APM’s in-house brands Avex and Avo Pharma, and global third- party vendors like 3M, Ranbaxy, Ziwell, Cipla, Merz, MD Pharm, Synmosa, Zenta, and DexaMedica. Since its inception, APM’s Pharma Division has pursued its target markets with great vigor, recording strong double digit growth year over year. This phenomenal success is due to their high-impact sales team spearheading market penetration into hospitals, clinics, and pharmacies. Their traction-generating strategies open the way for principals to establish themselves in these markets, spurring the growth of their brands. APM’s Pharma Division has successfully introduced several new lines of world class products into the market. Beginning with its very first product Avezol in 2006 under Avex brand, the Pharma Division has since expanded into Avo brand with more than 10 diverse products, namely: Avonac SR, Avonac Supp, Lice Clear, Avosoda, Clavomax, Clovix, Avo Liquid, Gluvecron MR 30mg, Zosaar 50mg, Avotyne, Hydrolyte ORS and Avo Thymol. With a constant eye on competitors and the ever-evolving market conditions, APM’s Pharma Division is able to adapt quickly by launching targeted promotional campaigns and strategically adjusting prices in response. Being sensitive to competitors’ activities and to the ever-evolving market conditions allowed our Pharma Division to react quickly by launching targeted promotional campaigns and making pricing adjustments. Close collaboration with principal providers and relying on our industry-wide network helped grow our clients’ portfolios year after year. As for our in-house brand, 6 products under the Avex portfolio (Prazovex, Gastrovex, Ciprox, Avezol, Fluovex and Avegesic) attained the distinguished status of “number one pharmaceutical generic” for 2014. The division has had great success in introducing to the market several new lines of world-class products. 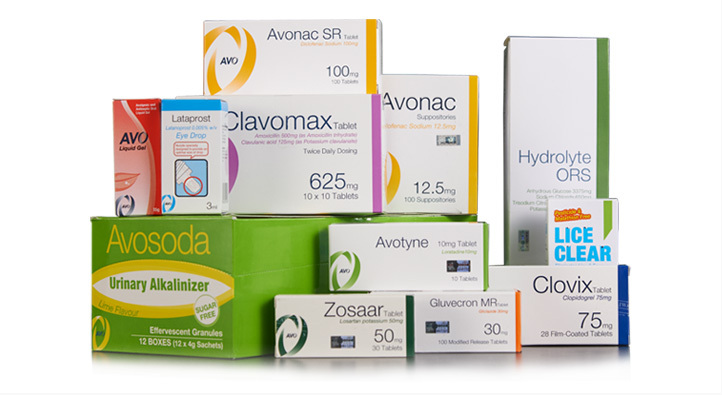 Starting with Avezol in 2006, under the Avex brand, the division has since expanded to carry the Avo brand with more than 10 diverse products, namely Avonac SR, Avonac Supp, Lice Clear, Avosoda, Clavomax, Clovix, Avo Liquid, Gluvecron MR 30mg, Zosaar 50mg, Avotyne, Hydrolyte ORS and Avo Thymol. By collaborating closely with principal providers and by leveraging its extensive network of connections in the industry, the Pharma Division has facilitated and amplified the growth of their client portfolios year after year. APM’s Pharma Division prides itself on constant innovation, aspiring to develop and source the best possible products for its healthcare partners. Providing the foremost comprehensive portfolio of pharmaceutical products in the nation means implementing strategic pricing and engaging in tactical promotional campaigns as well as continually expanding network coverage, all of which it strives to do every day. APM has been trusted by industry-leading brands and newer house-brands to sell and promote a wide spectrum of consumer healthcare products – from Over-The-Counter (OTC) to diagnostic labels. APM’s Consumer Healthcare Division comprises a team of experienced professionals operating on a regional stage. Working in line with our clients’ vision to establish their products in markets across Southeast Asia and even Africa. 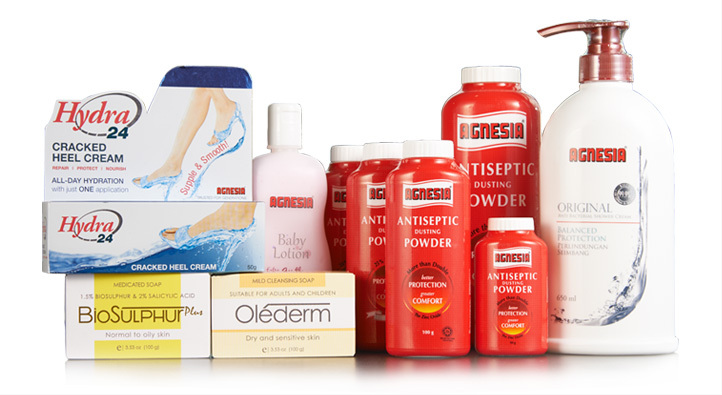 Adapting to the needs of a growing clientele, we have shifted our focus from OTC products to consumer healthcare products. Our Consumer Healthcare Division thrives on the expertise and strong performance in sales and marketing, coupled with our entrenched presence in pharmacies, wholesalers and lower trade- distribution centres nationwide. This has resulted in an enhanced presence for local and global principals, like Nestlé, Asia Pharm Pte Ltd, TR Network, Herbalceuticals; to name but a few. 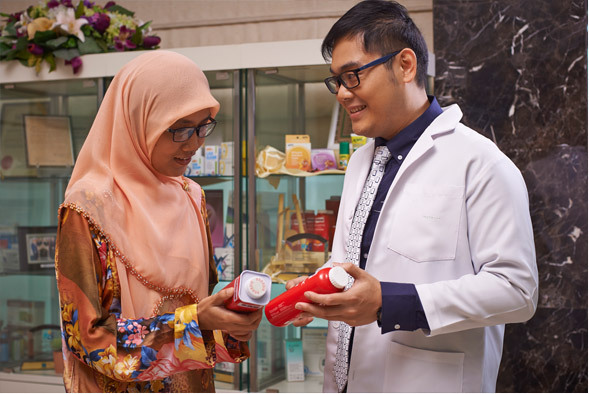 With solid product development strategies, APM managed to put their two in-house brands – Agnesia and Kaps – in the limelight in the Southeast Asian and African markets. Another recent success was the introduction of Salico to the local market. This brand carries a series of intensive skincare products. Our sales team's success is attributed to their 10 years of experience and 10 years of forging partnerships with businesses within their network. This arsenal has helped our clients and their products conquer large territories in the consumer healthcare market. New product penetration planning, merchandising and promotional strategies are always formed by our sales team to ensure product success. Working synergistically with the sales team is the marketing team. Their expertise is in their tried and tested methodology for gathering consumer insights, market surveys and pricing strategies. Together, the sales and marketing teams move toward one common goal – to put their clients' products on the centre stage, and by doing so, ensuring the success of APM and its principals. This division markets diagnostic kits and disposable medical products used by healthcare professionals and patients daily. The diagnostic sector is a fast growing and important market with great opportunities. Self management of health is gaining popularity due to increased awareness of personal health, rising medical costs and congested healthcare services centres. Realising the market growth potential of the diagnostic sector, we established the Diagnostic & Medical Division in January 2010. This was also done to manage and market our groundbreaking house brands - Avo Diagnostics and Avo Medical, to tap into the market's growth. 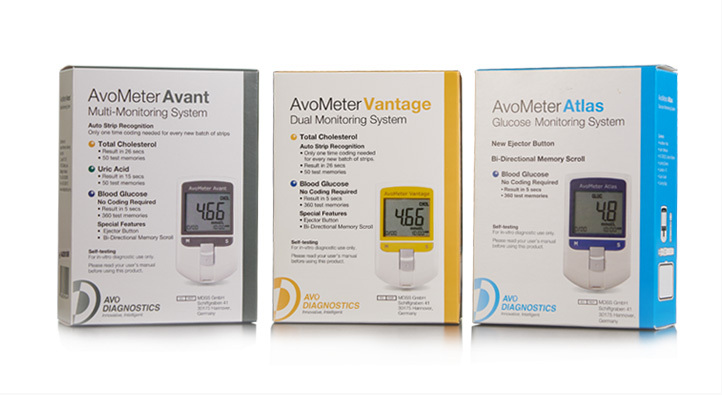 The Avo Diagnostics feature blood test kits for monitoring glucose and total cholesterol. Its urine based test kits can be used to detect pregnancy, drug abuse, or ascertain glucose and NS1 antigen levels, among others. These test kits are fast, accurate and reliable, adding the element of convenience to those wanting to self- manage their health. The Avo Medical portfolio covers bloodline sets, infusion sets, fistula gloves, needles, and syringes. This innovative medical consumables range are manufactured overseas and meets ISO9001, ISO13485, CE0123 international standards, and also meets EEC93/42 directive on medical devices. With strengths in pharmaceuticals and diagnostics, our Diagnostics & Medical Division will continue to be at the forefront of technological advancements. At the same time, offering better and more affordable solutions, with the assurance of full service support to vendors, healthcare professionals and end-users.